'War Of The Planet Of The Apes' Cast Actor Steve Zahn!! One of the most interesting and underrated actors working today Steve Zahn has been cast in Director Matt Reeves upcoming sequel War of the Planet of the Apes. Steve Zahn has been cast as a new ape in the third installment of 20th Century Fox’s “Planet of the Apes” franchise, TheWrap has learned. Matt Reeves is directing from a script he co-wrote with Mark Bomback. Chernin Entertainment and Dylan Clark are producing with Rick Jaffa and Amanda Silver. 20th Century Fox exec Mark Roybal will oversee the project for the studio. The story line is being kept under wraps. What's cool about this report is that over the past couple of months we have heard a lot about the casting of human roles like the great Woody Harrelson being cast as a the lead military villain. But The Wrap is reporting that Zahn has been cast in the role of a new ape. It will be interesting to see what type of role Zahn's ape will have. Will he be like a Coba type villain ape or be a friend and partner to Caesar. Either way we will just have to wait and see. Leave us your thoughts on Steve Zahn's casting as a new Ape character. Will he be good or bad? 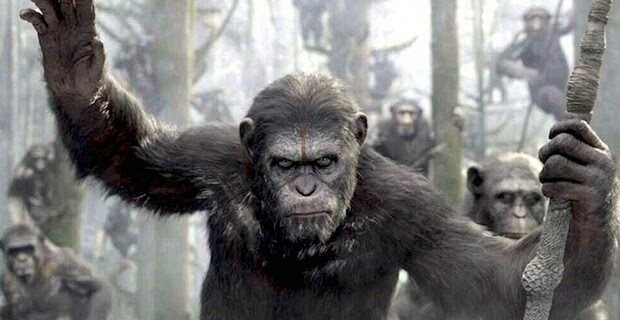 WAR OF THE PLANET OF THE APES hits theaters on July 14th, 2015. LIKE, SHARE, AND FOLLOW US ON ALL SOCIAL MEDIA @EASTCOASTMOVIEGUYS & TWITTER @ECMOVIEGUYS.